Another season of Survivor has come to an end. This one ended with Kim Spradlin coming out victorious, many people stating that Kim played the best game of all time, but where does she rank is my list of winners? NOTE: I am more likely to rank people higher who take the game into their own hands rather than those who play a more subtle game. I think that every winner did what they had to in order to win, otherwise they wouldn’t have won, but there are some who just do it better than others. Those who make the decisions and control those around those rank higher than those who let others do the bidding for them. 24. Amber Brkich, All Stars: Amber didn’t deserve to be there in the first place and rode her anonymity to the finish. In Australia she paired up with Jerri, this time she picked Boston Rob. There was no difference in her strategy, this time she just was fortunate that she picked someone who would dominate so hard and would do so in such an embittering way. 23. Bob Crowley, Gabon: Bob had little idea what was happening for pretty much the whole game. He was on the very outside of the “onion alliance” only as a number. He was the least important so he stuck around, won a couple of immunities, and got lucky that Sugar just wanted to put on an interesting show. Bob did have some foresight, but as Randy said “there was nothing strategic” about his fake idols. He’s a nice guy, but didn’t actually do much to win. 22. Fabio Birza, Nicaragua: I like Fabio a lot, but there is little I can do to defend his game. This just shows that sometimes the best way to play is to not get your hands dirty at all. This is what Fabio did, whether intentionally or unintentionally. It is an interesting strategy to say ‘hey, I didn’t do anything’ but one that is very hard to replicate. He did have a solid alliance at one point (with Marty, Dan, and Benry) which is what puts him one ahead of Bob. His challenge run and final tribal speech were also impressive. 21. Natalie White, Samoa: I think Natalie may be better than people give her credit for. The Samoa jury still insists that she played Russell the entire time and there has got to be something to this. She may or may not have taken Russell knowing that she could beat him, I guess this is something we will never know. What we do know is that she certainly played a wonderful social game, making friends with them as Russell voted them out. 20. Vecepia Towery, Marquesas: At this point the winners left all really did a great job, and it is hard to rate Vecepia this low, because she was a great subtle player. She started off in the main alliance and when the tribes swapped she put her foot in both camps ready to go whichever way she had to (notice that she helped to vote Boston Rob out). When it got down to the final 4 she made deals with whomever she had to in order to ensure that she was in the finals. Her moves weren’t obvious and she never was at the top of the decision making and that is why she ranks here. 19. 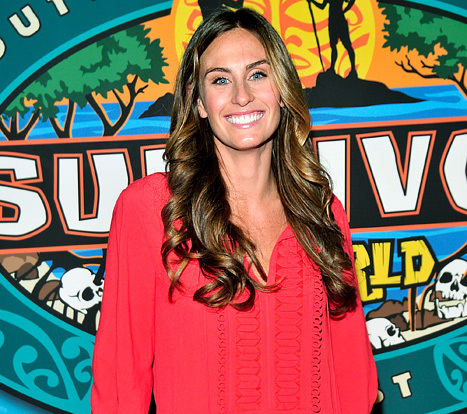 Danni Boatwright, Guatemala: Danni was the last person remaining in her alliance and rather than give up, she slowly formed bonds with those at the top. She helped to convince them that the others were more threatening than herself and then went on to win the final immunity taking Stephanie, who she knew she could beat. Her and Vecepia’s stories are very similar so really they could flip flop at any time. 18. Sandra, Heroes vs. Villains: Sandra started out in a majority alliance (with Rob, Tyson, Courtney, Coach, and Jerri) of which she probably would have done well if it hadn’t fallen apart. After Tyson and Rob had been voted out she manipulated Russell to get rid of Coach and then even helped vote out Courtney. When she got to the merge she remained in a place that was open to the Heroes to use her, but also loyal to the Villains which lead her to the finals with nobody hating her. 17. Sandra, Pearl Islands: Sandra essentially played the same way both times. She started in the majority, that alliance fell apart, she snuck through as the big threats got voted out and then made deals to get her to the finals. I thought her first season was a little better because she planted seeds in people’s heads to make them paranoid about everyone but her. She is an under the radar player, but one who really does understand the game and uses that to her advantage. 16. Jenna Morasca, The Amazon: I used to really dislike Jenna as a winner, but I’ve begun to come around on her. Her personality was annoying on the island, but her gameplay not too bad. She wasn’t a crazy strategist, but placed herself in great spots. She started off by forming an alliance with Deena, Shawna, and Heidi and later evolved that into adding Rob and Alex. Sure she wasn’t the one making it all happen, but she was a part of it all. Her most introspective move was giving up immunity to Heidi, knowing that Rob wanted to keep her until the final 2. She also won 4 immunities, especially when she had to. 15. Aras Baskauskas, Panama:Aras really is the perfect middle of the road winner. He became an integral part of his alliance and worked into the top of it. He made sure he did the right things, but never stood out as a master strategist. He was good at everything, but not really great. He was likable and did exactly what he had to, luckily for him there were no big obstacles for him to overcome. 14. Ethan Zohn, Africa: Ethan was the perfect nice guy winner. He was always #2 in his alliance and took the lead when Lex was gone. He made sure to be involved in all the decision making, but kept his relationships strong whilst Lex was busy telling people how to vote and squabbling over who voted for him. He is the kind of guy who anyone would never really have a good reason to vote off and he used this to his advantage. 13. Sophie Clarke, South Pacific: Sophie is an extremely intelligent player, but was forced to play under the radar due to the circumstances of her season. Her ability to adapt shows her strength as a player, but unfortunately she wasn’t able to show just how good she was (also due to the edit likely). I hope she plays again so we can see just how good of a player he actually is. 12. Parvati Shallow, Micronesia: It’s hard to rank her this low, but it is also hard to know how much of the work she actually did. She was working with 2 of the strongest female players to ever play (in Amanda and Cirie) and yes she beat the both of them, but she also worked alongside them. She certainly is a great player, but it’s hard for me to budge on anyone else. 11. Tina Wesson, Australia: I think Tina understood how to play the game just as well as anyone the first couple of seasons, but wasn’t given the edit that others were given. Perhaps they wanted to preserve her “motherly” image, but she was willing to cut people’s throats like no other. She was the one who decided who would go and if it had been Colby making the decisions I don’t even think he would have made the finals. 10. Christ Daugherty, Vanuatu: I really think that Chris played hard from the start. He lost the 1st immunity challenge for the guys, but played it off as no big deal while forming the “Fat five” alliance. The most impressive thing was the bonds he made with each player. He did so to the effect that he was able to later use these to overcome being the sole guy against 6 women to win. Some people (like Troyzan this season) see the game as a chess board with people to move around, but haven’t formed the relationships to carry out their plans. Chris understood that he needed solid relationships to make people do what he wanted. He used his social abilities to come back and win. 9. JT Thomas, Tocantins: I think that JT’s reputation has gone down since his stint on Heroes vs. Villains so I think a rewatch is in order for him. Whether it was he or Stephen making all the decisions, he still is probably the most likable Survivor of all time. His 9-0 win over a perfectly competent opponent proves this. He won challenges, played the likable Souther boy, and at least had Stephen to help him make moves. 8. Yul Kwon, Cook Islands: It feels so strange to have him this low as he really is one of the best to ever play. Really 6-12 are all interchangeable. Yul played like a diplomat. He took all the high flying personalities around him and stood in the middle of them in order to form compromises and order. He knew exactly what to do in each situation and was competent in every aspect of the game. 7. Richard Hatch, Borneo: Richard figured it all out. He decided to get a group to vote together and figured out which group would be the best to have to be successful. He worked hard to keep that group together and did other things like provide fish in order to make him a necessity around camp. His understanding of people and his willingness to throw that final challenge is what makes him an elite player 23 seasons later. 6. Earl Cole, Fiji: Earl ran the show from day 1 in Fiji. Bringing together the right people and making sure he was always in the know. He sent out other people to bring him back information so he was always being filled in. He teamed up with Yau Man to strategize and unlike so many others was willing to sacrifice his best friend in a way that allowed him to win at the end. Earl commanded the game without ever being obvious, he was physical enough without being a threat, and was likable without seeming like an obvious jury threat. 5. Todd Herzog, China: Todd played the game that any superfan strategist would want to play. He came in and got his pawns always thinking two steps ahead of everyone else. He was always thinking of how to get ahead maybe better than anyone else. He was known as the sneaky strategist to everyone yet still held enough clout to get to the end. He used the bitter jury effect to his advantage and then gave the best jury speech of all time. He lacked physically and kind of lucked out that he was on an extremely physical tribe in a season full of physical challenges. 4. Brian Heidik, Thailand: Brian played an emotionless game. He kept everyone where he had to and made friends with just enough people. He had a purpose with each person there and never let annoyances or conflict get in the way of playing the game. Some argue that he barely beat Clay, a scapegoat, as an argument against him, but I say that he cultivated as many relationships as he had to in order to win. When he needed Shi-Ann he buddied up with her. He was liked by everyone in his alliance (who all voted for him to win) and to seal the deal he made a friendship with Jake, one that was the determining vote for him. 3. Kim Spradlin, One World: Every move that Kim made was intentional. Every conversation she took part in was “to get her hooks” into people. She set herself up so well that no matter what happened she was in a good position. Not only was her strategic game great, but she dominated physically and formed such great bonds with people that she dominated the vote 7-2-0 against two very competitive and likable people. 2. Tom Westman, Palau: There were only 3 times this season where Tom could have been voted out. Other than this he was immune at every single tribal council. Nobody else (no not even Ozzy) has been able to match this. If you wanted to make a move against him, you couldn’t because he was immune. Plus he was at the head of the main alliance (with Ian, Katie, Gregg, and Jenn) and the sub-alliance within it (with Ian and Katie). The thing that he nailed though was his relationship with Caryn, which prevented him from going when the girls started plotting against him and Ian. 1. Boston Rob Mariano, Redemption Island: Rob played everything picture perfect. With each move he made he controlled how his group would think and react and this allowed him move around whichever way he had to. From getting rid of those who would threaten him or pair up at the start to creating a culture of fear within his group so that none would turn against him. His “buddy system” was ingenious and to top it off he won all the challenges he needed to. Perfect game. Natalie is not a better winner than people her credit for. She did nothing but ride Russell’s coattails. I have nothing against her, she’s really nice. But she never should have won, she only made one big move (at Russell’s whim I might add) Her excuse of “all the aggressive people got voted out early, so I changed my strategy”, is just another way of saying she chickened out of playing a strong game. Russell should have won that season, and I don’t remember Natalie as anything other than the person who stole the glory from Russell. Vecepia was a coattail rider too. All the coattail riders should be at the bottom. Okay, what I said previously seems a little harsh. Natalie, if you’re reading this, I’m sorry if I seem too critical.